Samsung Display has received a display panel order from Apple for an additional 5 trillion won ($4.35 billion) in organic light-emitting diodes. Totaling 13 trillion won so far, Samsung Display has proved a major supplier for Apple’s upcoming iPhone models, sources said Monday. According to sources from the display industry, Samsung Display recently won the order for 60 million OLED panels. 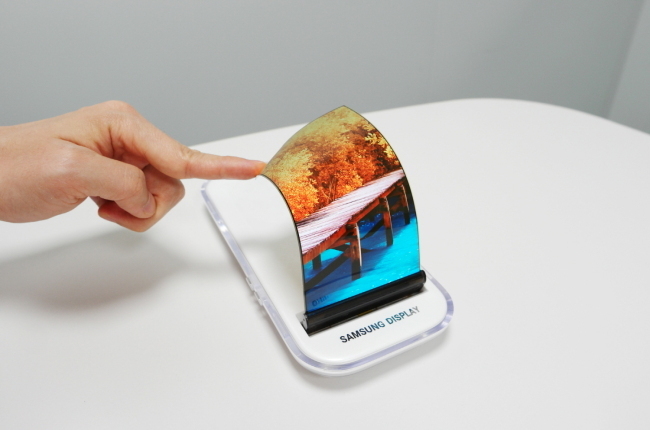 Considering the Korean display maker had already clinched a deal to supply 100 million flexible OLED panels at 8 trillion won last April, the latest order will make Samsung the biggest supplier for Apple’s next smartphone, which is expected to be launched in the fall. Market watchers estimate that Samsung would be supplying about 80 percent of the total demand for iPhone display panels, given that each iPhone series has sold more than 200 million units. It had been widely expected that Apple would adopt OLED technology for its next smartphone models. Samsung recently moved to ramp up investment in OLED for mobile devices. Although Samsung said its new investment in the display business for this year has not been confirmed, industry insiders are saying the largest investment plan is to follow this year. Last year, the company injected about 10 trillion won for production of OLED panels. Samsung has three OLED panel production lines in Cheonan and Asan in South Chungcheong Province of South Korea. Some sources say the company is considering building another plant in the vicinity of the current plants in order to meet soaring demand. The display manufacturer is also awaiting final approval from the Vietnamese government for an investment of 3 trillion won in order to expand OLED production in the country. Both parties are expected to announce the approval by March. The company has been operating an OLED factory in Tinh Bac Ninh in the northern part of the country since 2014. Vietnam is a hub country for production of a major portion of Samsung products, including the Galaxy smartphone series. “We can’t officially comment on anything related to the order,” said a spokesman at Samsung Display.